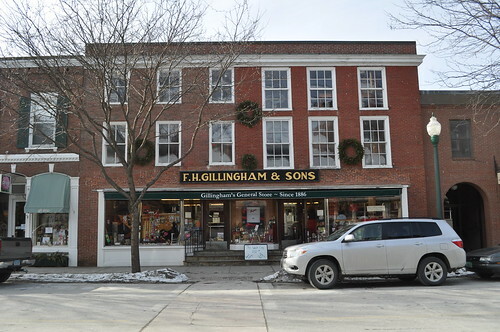 When you walk into Gillingham’s the space is quiet as a library, old wood floors softly creak, couples huddle around kitchen supplies nudging their spouses, “I have always wanted one of these”. 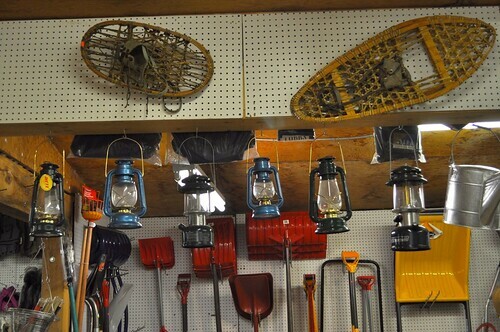 Gillingham’s is just that kind of store filled with objects and products where for months you’ve searched. Silver polish cleaner; they have at least 4 different types, tiny files that were perfect for cleaning the details of my molding and a seriously good selection of maple products. Greg and I spent a least an hour poking our way around the 3,000 sq foot store. 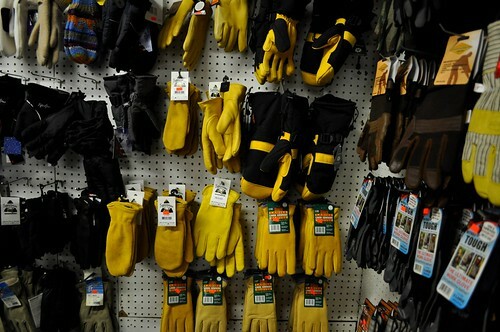 I spent most of my time finding him to show him my latest prize, “How great are these utility gloves?”. They sell everything you could possibly need from “caviar to cow manure”. Above and below a few photos from inside the store. 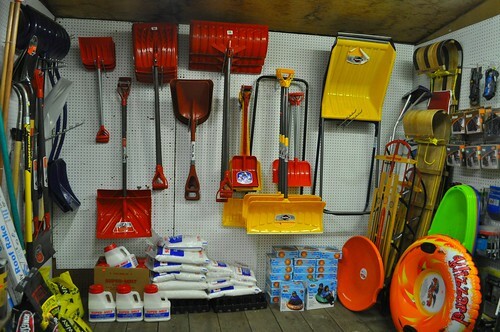 Check out that shovel collection. We were totally in awe of the giant scooper on the right. Maybe it’s great for sidewalks? Find out more about store by visiting gillinghams.com. Wish I could see it up close! These are getting all too rare! Your shovel in question is a little(!) snow scoop. I would definitely go for a metal one, though, rather than plastic, because the plastic shatters when it gets too cold. 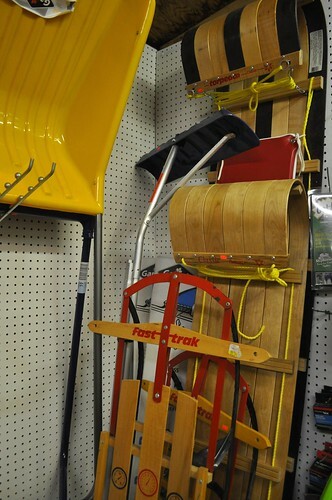 They make even bigger ones of those, which are actually a pretty slick way to move a lot of snow by pushing it along. A great human-powered, low-tech alternative to a snowblower! We got married there – well, not the store. Love love Woodstock and need to get back! Where did you stay? 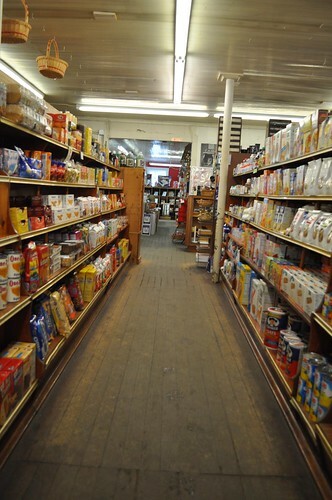 i love general stores… this one reminds me of the one i used to go to in PEI. thanks for the memories! I have always loved this store, they have everything. My family used to stop every weekend on our way up to and home from Killington. 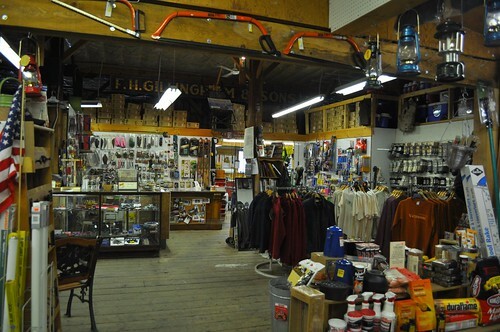 There is nothing better than a well-appointed general store. This one looks killer.